STICKERS: these can be kiss-cut to any shape and applied to paper plates, party packs, paper cups, smartie boxes, treat bags, toothpicks and more. 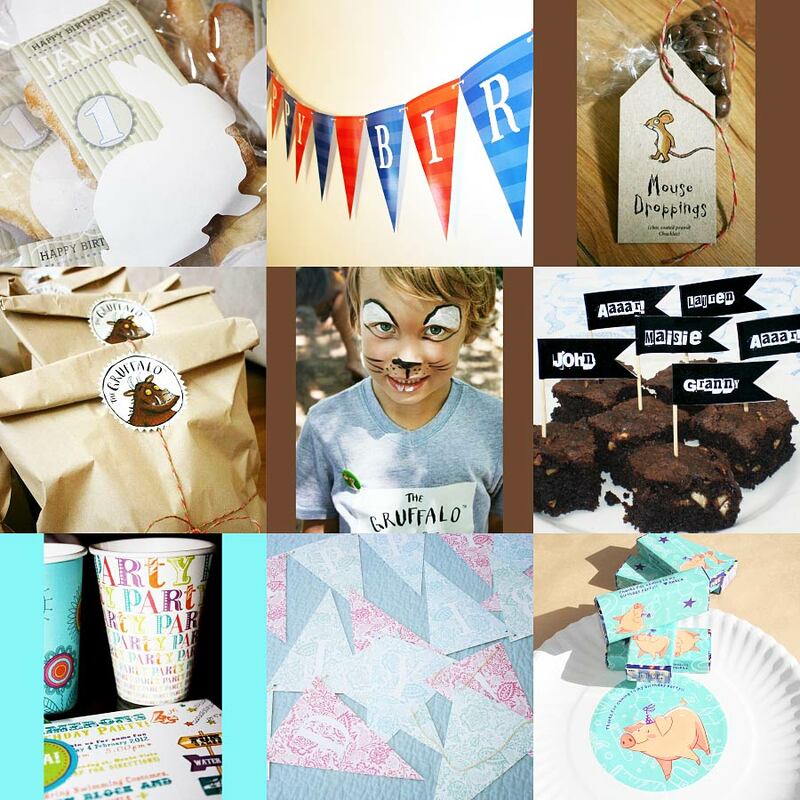 PAPER BUNTING: easy to print using one of our templates or create your own, simply add string and hang it up. NAME TAGS: make each guest feel special with custom tags on their treats, or you can create lasting domed badges. T-SHIRTS: custom printed t-shirts are a great way to remember the day or to create a unique costume.